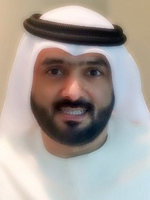 Saleh is Corporate HSE Director for TECOM Investments, a Dubai Holding company, he is responsible of developing Corporate Health, Safety and Environment Strategy and Management System for TECOM Investments group of companies and to ensure the implementation of it across all TECOM business communities and advises the top management and the company board on the company’s HSE performance and important highlights. Previously he worked for Dolphin Energy as Head of QHSE&S Department. Saleh has vast experience in Occupational Health and Safety and holds many certifications in his field of work. He has played a key role in his previous organization in setting up QHSE department from scratch, Management System, operations and resource management and sustainability related initiatives. Saleh also worked with Dubai World, Nakheel where he established the Environment Health and Safety Department and closely worked on projects including Jumeirah Village, Jumeirah Islands, Jumeirah Park, Nakheel Joint Ventures and Jumeirah Heights. In his role he was also responsible for developing and executing corporate strategies for Environment, Health and Safety awareness on projects. He also closely assists on establishing a comprehensive risk management program for the company.